There are many new games that people are playing on their smart phones. Next time you are out, just look around and you will likely see someone looking at his or her phone while walking.If you watch long enough you may see him or her walk into a wall, someone else, or even right into the street! If you play games like Pokémon Go, you may need to review your personal insurance to make sure you are protected. Here are the kinds of insurance you will need. Health Insurance - People are being injured because of playing games on their smart phones. Recent reported injuries have included walking into traffic, falling into a pond, and walking through a glass door. Auto Insurance - Many people actually break the law and play games while driving. Almost all states require that vehicle owners and drivers carry auto liability insurance to cover personal injuries to third parties. 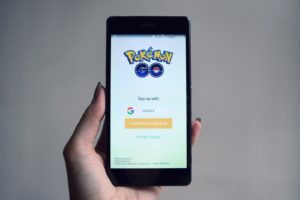 Home or Renters Insurance – While you are out tracking down the ever-elusive Pikachu, you can have some peace of mind that if a thief breaks into your home, you are protected. If you damage someone else’s property, your renters, or homeowner’s insurance will provide protection.